Mo’ Better Blues, my all time favorite Spike Lee Joint starring Denzel Washington, was my coming-of-age film. Enraptured in my intense adolescent quest for identity, I did all I could to walk like Denzel, talk like Wesley Snipes and deliver a punch-line like the late, great Robin Harris. What the film did give me, which has endured far beyond my adolescent ambitions, was a love for the trumpet. As a music student at The Hartt School of Music of the University of Hartford, I pored through collections of Louis Armstrong, Dizzy Gillespie and Miles Davis, among others. Miles Davis’ Kind of Blueis sacred to me. I never got around to actually learning how to play the instrument; I’ve merely maintained my groupie status if you will. Being a singer, by profession, I strongly suspect my admiration for the trumpet has everything to do with the fact that of all man-made instruments, it is the one, which comes closest to the voice. In other words, it sings. Such an argument might be made for the violin or even the cello. Ringling Bros. and Barnum & Bailey, maintains a proud musical tradition — a fact that is often lost amidst the overwhelming spectacle that is The Greatest Show On Earth. Live bands accompany its three touring shows. 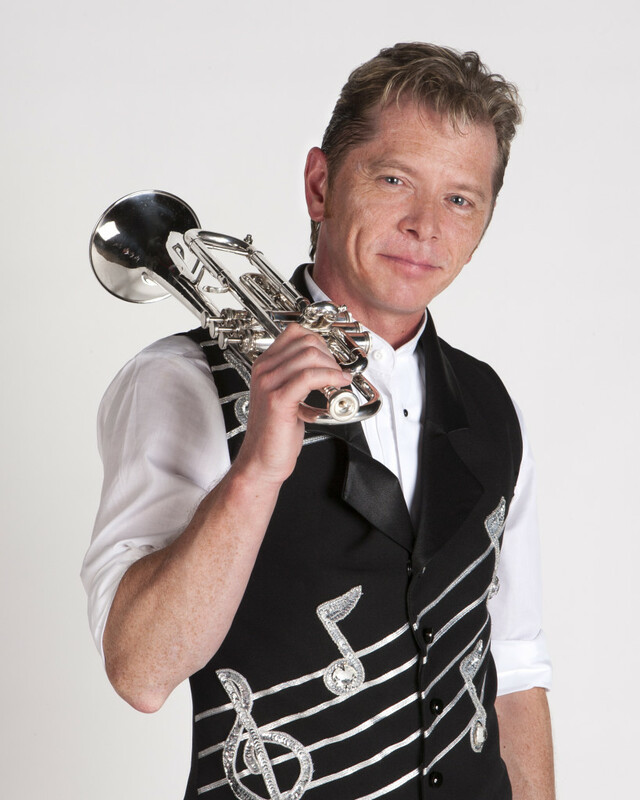 Traditionally, the conductor is a trumpeter in the vein of the legendary Merle Evans. 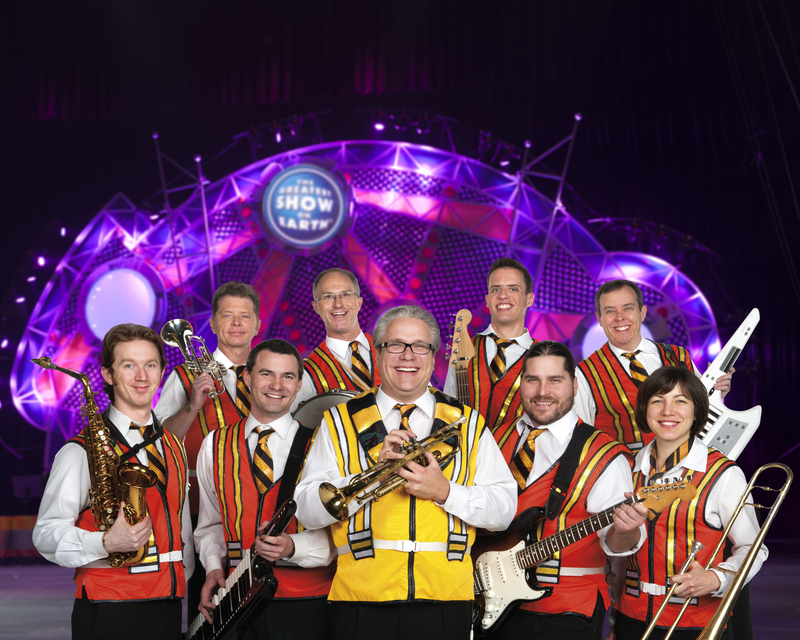 The Ringling Bros. and Barnum & Bailey Circus Band is without peer when it comes to hours logged on a bandstand. Every gallop, every pratfall, every elephant mount, every thrill, every sound that emits from the Ringmaster’s mouth is imbued by the hardest working band in show business. You cannot be a fan of brass instruments and not be a fan of the Ringling Bros. and Barnum & Bailey Circus Band. As a trumpet groupie I was immediately sold upon beginning my tenure with The Greatest Show On Earth so many years ago and for good reason. His name was Brian Wade Anderson, but we called him “Slick,” which initially baffled me because he didn’t look or sound like a “Slick.” At least not by this New York native’s standards. He wore a mullet, which thankfully he’d have to part with after losing a bet with one of his fellow band mates during the NBA Playoffs. He certainly didn’t walk like Denzel Washington nor did he talk like Wesley Snipes, but when the proud Midwesterner (by way of Indiana) put that trumpet to his lips, it finally dawned on me how he might have earned the moniker. To hear him play was to hear pure, unadulterated brilliance. He possessed flawless technique and impeccable range, and his durability, much like his colleagues, was second to none. A brass player in a Ringling Bros. Circus Band is on their feet for well over two hours a show, an average of 11 shows a week, 3 of which are on Saturday. Slick was a riot and lots of fun, and his musical gifts didn’t end on the coveted bandstand at The Greatest Show On Earth. At periodic club dates during the tour and company festivities he’d dazzle us with his funk superstar alter ego with band in tow, Slick and the One Night Stand. He was a take-no-prisoners multi-talented dynamo of a performer, and that Midwestern, white guy with a mullet could hang with the best of them on the dance floor. It didn’t matter how long or festive the nights were. Before every show, there he was inside his beloved Pontiac engaging in preparations to apply his trade. He was the consummate professional, and it could be heard show after show after show. Yet, the sound he produced from his horn was not merely the product of well-studied technical efficiency but a deep and abiding joy for his craft. Brian loved music. I knew this because of the care he applied to it and the unabashed enthusiasm in which he presented it. That’s why he was so consistent. That’s why he could make his horn sing! Due to the fact that music is taken for granted at an extravaganza such as The Greatest Show On Earth, it is easy for some to dismiss the significance of a career as a circus musician. I recall a critic once inquiring in utter disbelief as to what a voice like mine was doing in “a circus” and not on “the Broadway stage.” I imagine Brian and his colleagues were on the end of such inquiries as well. If being paid to travel with the world’s longest running hit show to packed arenas of Children Of All Ages is seen as not really making it, then I’ll take it. A successful artist is a working artist. By that standard, Brian Anderson was a massive success. In his 6 years with Clyde Beatty-Cole Bros. Circus and 18 years with Ringling Bros. and Barnum & Bailey, performing well over 400 shows annually, to many thousands at a time, it is conceivable that more people have heard him live than have seen any of the biggest sports and pop stars of the last 25 years. Whether young or old; black, brown, red, yellow or white; rich or poor; health conscious or not; good or bad, Cancer is ruthlessly fair. Slick was one of the healthy ones, as we often spoke about fitness routines; he was an avid steward of his body. He was definitely one of the good guys, a gentleman and very humble, some might say to a fault, so when he was diagnosed it literally threw all who knew him for the proverbial loop. Yet, for the last few years of his life he showed his grit; he would put up a most gallant effort, even becoming well enough to return to the show. But, alas on October 30, 2014, surrounded by his family, he would depart this world peacefully. He was 48 years old. The trumpet that seduced me over 16 years ago, the horn that sang to tens of millions for nearly a quarter of a century now lives on only in memory. It would be a mistake to think that because this marvelous musician isn’t a household name that somehow, his legacy is diminished. The standard he left for the musicians who will follow is extraordinary. And though they may not know his name, the joy of music he gave to circus audiences for over two decades will stay with them always.